Barracuda | Advanced Tactics, Inc. 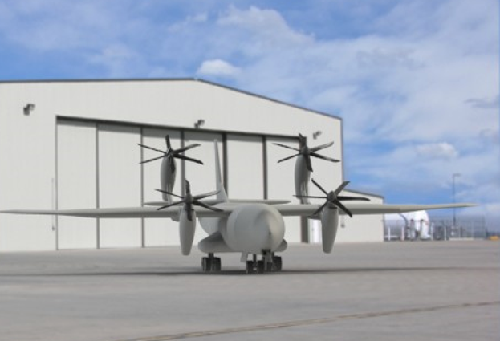 The Barracuda Aircraft technology (patent pending) is a revolutionary leap forward of the tilt-rotor aircraft design. 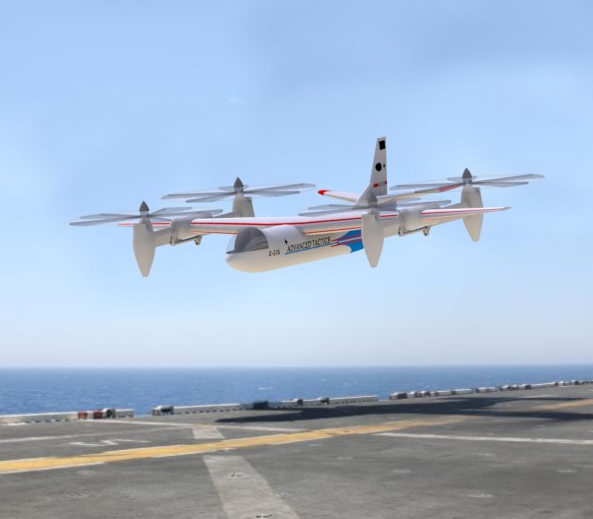 The simple and innovative design promises radical technical improvements from existing state-of-the-art aircraft and will propel current VTOL capabilities and missions to a new level. The Advanced Tactics Barracuda is a novel quad tilt-rotor utilizing a conventional airframe design. 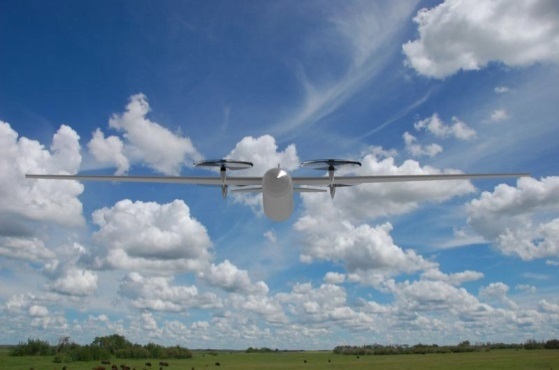 The unique “quadrotor” configuration produces a simple, elegant design that is able to achieve faster and more efficient flight than a conventional twin tilt-rotor. 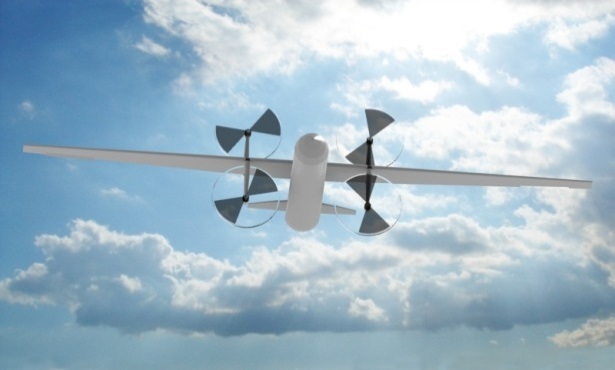 This configuration results in reduced mechanical complexity, reduced thrust download during hover, and efficient span loading on a high aspect-ratio wing. In short, it is simpler and higher performing than the current state-of-the-art. The core Barracuda technology lies in the configuration, mechanisms, and the flight control systems of the aircraft. The core technology can be adapted to a wide variety of airframe designs, sizes, and components. Design and performance analysis has been completed on aircraft ranging from 10 lb to 60,000 lb with compelling results. The Barracuda is a multi-role aircraft and can be configured for a wide variety of missions from long-endurance ISR to high-speed cargo resupply. 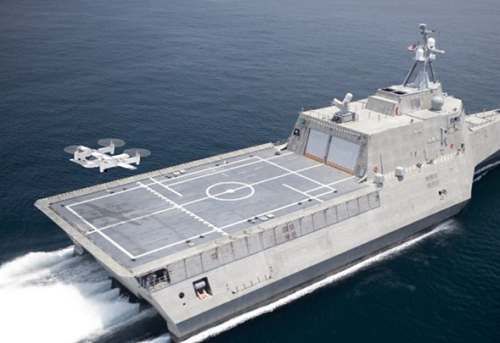 The aircraft’s VTOL capabilities allow it to operate from small ships and undeveloped landing zones that would otherwise be inaccessible. It can be used for civil purposes including civil transport, cargo delivery, and as a commercial sensor platform. The Barracuda is ideally suited to any mission that requires robust capabilities, high reliability, and high efficiency.